There’s a reason why dads usually end up with boring socks, dubious ties and a ‘World’s Greatest Dad’ mug on Father’s Day: the Father’s Day aisle in most shops is full of utter crap. But it doesn’t have to be this way! This year, you can either get your dad yet another pair of novelty cuff links…or one of these gifts. Not an obvious choice, but we grouped together and got this for our Dad at Christmas and he loves it. Nothing in our fridge stays there for long without being shredded, chopped or blended. 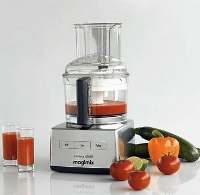 It’s possibly the manliest kitchen gadget you can get, and Magimix is known for being the best in the market for these gadgets. Order one from Debenhams for £250. 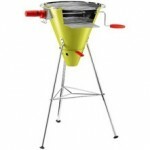 If your budget is lower, you might prefer the mini-chopper for £50. Expensive yes, but if you club together with other siblings or your mum, this could be the Father’s Day gift to end all gifts. I don’t really need to tell you why this is cool, do I? 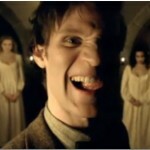 Just imagine his face when he unwraps it. Buy it direct from Apple (where you can take advantage of the engraving option) at prices starting from £399 for a 16GB Wi-Fi version. C’mon, you knew Doctor Who would get a mention at some point in this list, didn’t you? 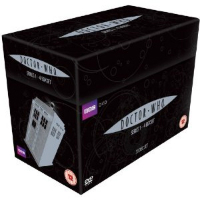 This box set of the first four series from the revamped Doctor Who starts in 2005 with the ninth Doctor, Christopher Eccleston, and runs all the way through the three series featuring David Tenant as the tenth Doctor. Possibly we’re suggesting it because we’d quite like to sit and watch it with him. Who can say? At £44.97 from Amazon, you should have enough change from a £50 note to get him a decent card too. Possibly one of these Moonpig ones.. 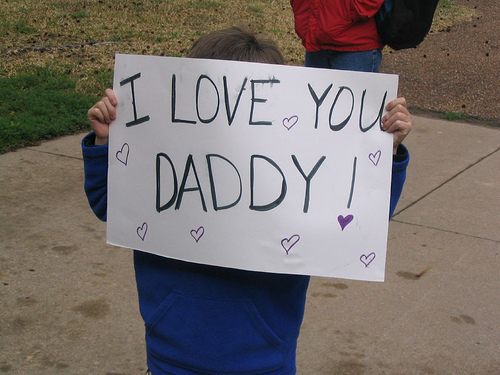 Sometimes, it’s the gifts your dad would never buy himself that prove to be the most popular. 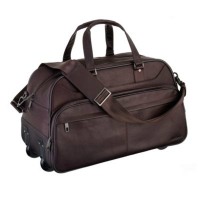 This Jasper Conran Brown Leather Holdall is ideal for business trips or a weekend away when a scruffy old sports bag just won’t do. The leather is ultra-soft, and the finish is really smooth. I actually got this for my boyfriend earlier in the year, so it’s a fairly good present all round for blokes. Plus it comes with wheels and a pull out handle, making it practical too. It may be tiny, but this memory card is most definitely mighty. 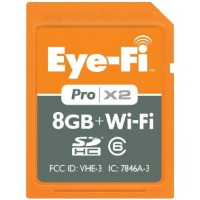 The Eye-Fi is a memory card that allows you to transfer your images wirelessly to your computer/laptop/Facebook/Dropbox account, doing away with fiddly wires and cables. For any photography or video fans, this is a must for saving time. You can also upload to YouTube, Picasa, Flickr and TypePad, so he can upload to his chosen social media or photo sharing site while on the go.